Mennopolitan: What does the name Old Colony mean? What does the name Old Colony mean? The name Old Colony Mennonites is used to describe that part of the Russian Mennonite movement that is descended from colonists who migrated from the Chortitza Colony in Russia (itself originally of Prussian origins) to settlements in Canada. Since Chortitza was the first Mennonite settlement in Russia, it was known as the Old Colony. In the course of the 19th century the population of the Chortitza Colony multiplied, and daughter colonies were founded. Part of the settlement moved to Canada in the 1870s, and the Canadian community, whose church was officially known as the Reinländer Mennoniten Gemeinde, was still informally known by the old name. When members of the Old Colony Mennonites then moved from Canada to other places, the name was kept. 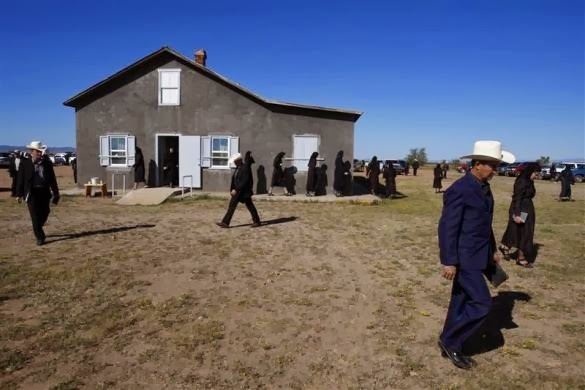 Old Colony Mennonites are typically more conservative than most other Russian Mennonites in North America. As of 1990, Old Colony Mennonite communities could be found in Canada, the United State of America, Belize, Bolivia and Mexico. What’s with the socks and sandals? Who can dine with Low German Mennonites?